Netflix out in Endicott? Need a grave dug or a hunting license? Pioneer Telephone Company has you covered. Tiny telecom companies provide rural towns with services beyond just phone and cable service. 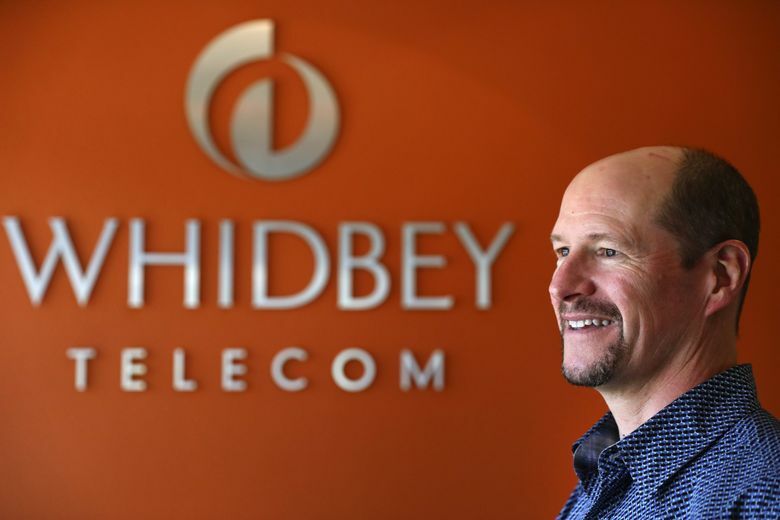 George Henny approaches his job as co-CEO of Whidbey Telecom the way his father did when he bought the company in 1953: community and values come before profits. “It’s not about the money you make, but the good that you do,” Henny said. Whidbey Telecom on Whidbey Island and Pioneer Telephone Company in LaCrosse, Whitman County, are among the providers of telecom service to sparsely populated rural areas. The company is into its second generation of Hennys at the helm now — George shares the CEO title with his sister, Julia Henny DeMartini. Their mother, Marion, has chaired the board of directors and his father, David Henny, was CEO until his death in 2001. Founded in 1908 as the Whidby Telephone Company, today it has 106 employees and 10,000 customers. Whidbey Telecom was just one of many small, usually rural operations formed in the early 20th century to provide telephone service to sparsely populated areas skipped over by large telephone companies in favor of the cities and suburbs — more densely populated areas where building the infrastructure penciled out. It’s a pattern that continued into the age of the internet and persists today. Where the big telecom companies wouldn’t go — Whidbey Island, for example — that’s where companies like Henny’s have sprung up. 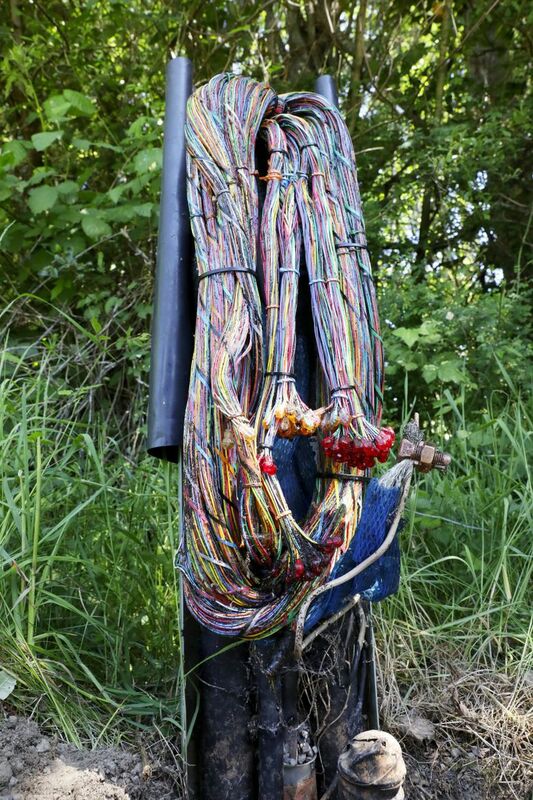 Whidbey Telecom began offering dial-up internet in 1994 and broadband in 2000. 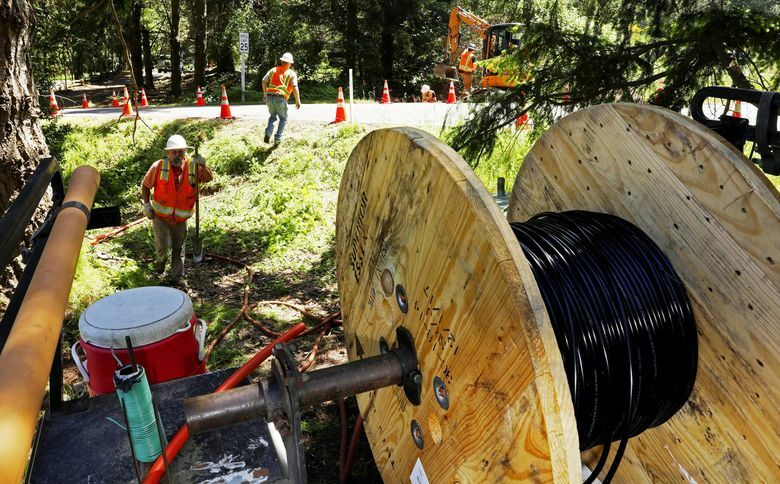 The company is now building out its fiber-optic network, as are many rural internet service providers (ISPs). According to the Pew Research Center, 58 percent of rural households have broadband, compared to 70 percent of suburban homes and 67 percent of urban residences. Many rural ISPs across the nation are deploying fiber because of its durability, longevity and ability to deliver high speeds. George Henny, an energetic, well-dressed 51-year-old who wears jackets and shirts embroidered with the company logo, is as much a part of Whidbey Island as the knotted, bleached driftwood lining the island’s shores. His love of the island and his adherence to his father’s credo that “offering great service at a reasonable price will lead to profits” has informed business decisions larger, public companies might not make. An example? Extending telephone and internet service to the tiny communities of Hat Island and Point Roberts, an isolated enclave of the U.S. on the tip of Canada. The Hennys applied this customer-first thinking when they bought an abandoned grocery store in Freeland, a small Whidbey Island town at the southern end of Holmes Harbor. The building was transformed into an internet cafe, company offices and a cellphone store. The structure includes a conference room that seats up to 100, which is used for regular meetings by the local Rotary, business chamber and the Washington Department of Transportation. There is also a counter in the lobby made from reclaimed wood where customers can drop off their checks. The multi-use building is so busy that a bus stop was added and the street widened in front of it to accommodate the increased use and traffic going to and from the facility. 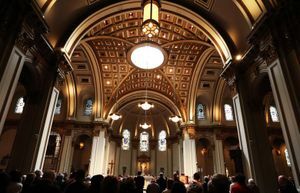 “We wanted to create a place that people wanted to be part of,” Henny said. Of the 18 companies that belong to the Washington Independent Telecommunications Association (WITA) , Whidbey Telecom is considered one of the big boys. At the other end of the spectrum is Skyline Telecom, which serves 28 homes in and around Granite Falls, Snohomish County, and the Mt. Hull area of Okanogan County. The WITA works to keep its members apprised of new technologies, training and advocating for its members in Olympia. Rural broadband briefly generated national headlines earlier this year when President Donald Trump and Federal Communications Commission Chairman Ajit Pai voiced support for more broadband access to rural America. On Jan. 8, Trump signed an executive order easing the permitting process for companies to erect wireless towers in rural areas. A week after Trump’s order, Pai announced the FCC would throw $500 million at rural broadband. Operating in rural areas can create special circumstances leading to counterintuitive decisions for WITA members, said the association’s executive director, Betty Buckley, while on a recent visit to Pioneer Telephone Company in LaCrosse, Whitman County. Pioneer began burying telephone lines in 1991 because shotgun blasts from hunters were damaging lines. 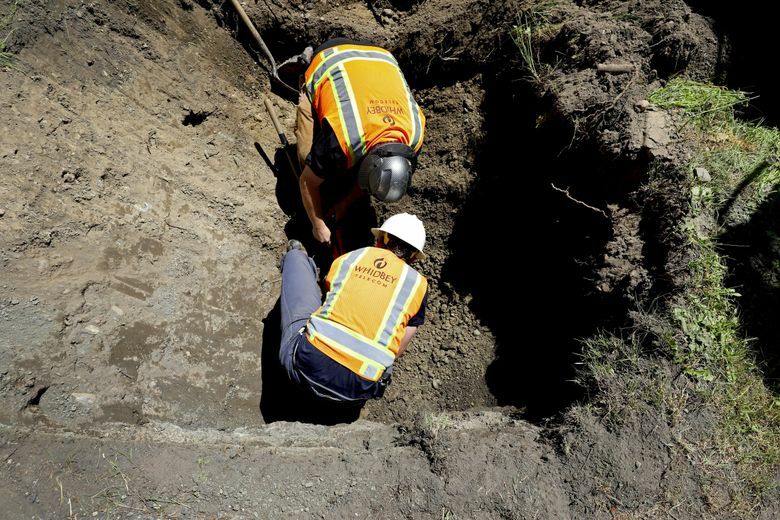 But WWest Communications in Wahkiakum County dug up its lines after beavers were found to be chewing through buried lines. “If it’s not shotguns, it’s beavers,” Buckley said. Her mission next year is a modified extension the state’s Universal Services Communications Program. The program, which expires in December, was established in 2013 after the FCC said it was eliminating dollars for rural telephone service. The state program pulls money from sales tax on residential telephone service and distributes money from a $5 million fund to WITA members who qualify. 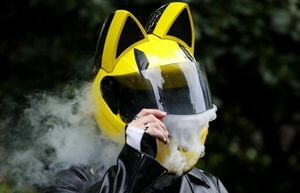 The bill passed the House this year but died in the Senate after a heated debate centered on changes to the program and whether the fund should be opened up to other entities offering telephone and broadband service. With six employees and 635 customers strewn across 800 square miles, Pioneer Telephone Company might be much smaller than Whidbey Telecom but is driven by the same desire to serve its community however possible. Picking up services others have abandoned in the hamlets and towns carved out of the ravines and coulees of the Palouse is core to Pioneer’s mission of serving its community, sometimes in ways that have little to do with whether Netflix is available in Endicott, Whitman County. The 110-year-old company now uses its backhoe to dig graves in the tiny towns of Hay and LaCrosse. It also changes tires and began selling hunting and fishing licenses this year. Much like its counterparts on Whidbey Island, Pioneer helped create a community space in LaCrosse. Pioneer partnered with The McGregor Company and others to rehabilitate the town’s grocery, renovating the building to house the town library, meeting space and historical displays focusing on the town. Pioneer covers some of the hardest-to-reach places in the state and wouldn’t be able to serve its customers without federal and state money. Pioneer tapped into the federal Universal Service Fund and the state’s universal program to partly pay for a project stretching fiber to all of its customers. About 15 percent of the project is being paid for by the company. Pioneer broke ground two years ago on the estimated $8 million project. Pioneer’s general manager Dallas Filan wants to complete the 10-year project in five years. With his green Pioneer cap, flannel shirt and jeans, Filan looks more farmer than telecom executive. His family homesteaded near Hay in the 1920s. Farming might be woven into Filan’s fiber but he understands the importance of connecting his community to the web. This connection is evident on a dusty patch of land sandwiched between downtown and the train tracks. The yard is dotted with a variety of tractors equipped with computers, five large fertilizer tanks and a building housing McGregor, a local firm that works with farmers throughout the Pacific Northwest. McGregor’s LaCrosse crop adviser, Adam Roberts, encourages the farmers he works with to embrace technologies like software that help create yield maps and spray records with the goal of making their operations more efficient, less costly and more profitable. None of it would be possible without the infrastructure built by Pioneer. “Within five to 10 years everyone will have it,” Roberts said. Filan’s mission to connect the people of the Palouse is additionally fueled by a desire to see the area grow again. Filan moved back to LaCrosse in 1990 after working for General Electric in New Mexico and Kirkland. Since Filan returned, the town’s population has held steady at around 330 residents, while its school population has sharply dropped. In 1995, LaCrosse schools had 170 students. The number in 2017 was 57. 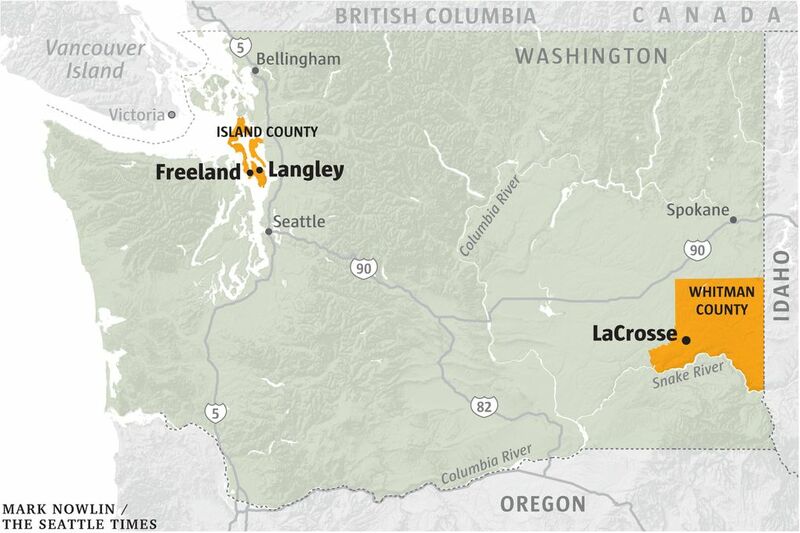 Making a go of it as an internet service provider in rural Washington isn’t easy and it is rarely lucrative. Filan said Pioneer has a return of about 1 percent. Despite the low margins, staying current with technology is important to the state’s rural ISPs. And despite their size differences and wildly differing communities, Filan’s desire to create infrastructure encouraging people to move to LaCrosse echoes George Henny’s goal of ensuring South Whidbey Island is part of the global economy and Whidbey Telecom continues to play a vital role in his home’s future long after he is gone. “We’re positioning ourselves for the next 110 years,” Henny said.